Chief Jayroe, whose Texas town bore the full force of Hurricane Harvey, says the outpouring of support from law enforcement and the community made all the difference. by Chief Tim Jayroe, Rockport (TX) Police Dept. In the coastal areas of our country emergency responders, elected officials, and concerned citizens think, plan, discuss, review and practice every year for the possibility that sometime between August and November we will be forced to deal with a hurricane. What we found out on August 24, 2017, is that no amount of preparation can prepare us for what we have to deal with both during and after a storm arrives. This is particularly true when a storm like Hurricane Harvey comes into the Gulf of Mexico from the Yucatan Peninsula as a tropical wave and, over the next 40 hours, turns into a Category 4 hurricane that hits your home town. This drastically reduces preparation time from 3 to 5 days to less than 2, and makes communication with the public regarding safety issues or evacuation notices much more difficult than anticipated. Due to the brief preparation time, officers were directly involved with evacuation and other issues. When the tropical storm weather conditions moved in, hurricane force winds and rain were less than two hours away. When the hurricane force winds arrived all patrol units and other high-profile vehicles were called in and parked at the public safety center where all personnel remained until conditions improved. On the morning of August 27 problems we failed to fully anticipate started to appear. Three communications towers had crashed to the ground and radio communication was poor at best. Cell phone towers and Internet service was gone as was telephone service. We found it very difficult to contact the people we needed to speak with to arrange for the supplies and help so we could assist the people who were unable or unwilling to evacuate. Only three of our 25 police department units were operational. The rest of the cars had missing windows and 3 to 5 inches of rain inside. Fortunately volunteers from Corpus Christi and San Antonio came to town and set up shop in tents near the Public Safety Center. They worked 18-hour days until all our official vehicles were dried out and placed back in service. I can honestly say we would not have been able to cope with all the problems if it had not been for the unsolicited and totally unexpected help that regular citizens and other agencies gave us. The State of Texas provided assets in the form of officers from the Texas Department of Public Safety Officers, Texas Parks and Wildlife, Investigative Officers of the Attorney General’s Office, and the Texas State Guard. The federal government sent people from the National Guard, FEMA, and others. 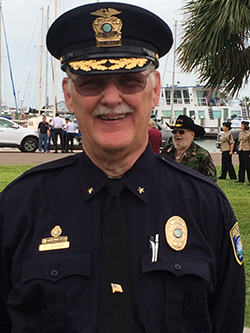 The Corpus Christi Police Department under Chief Mike Markel provided ten officers which strengthened our patrol force and provided extra safety for our residents. These people and what they did to help us will never be forgotten by the people of Rockport, Texas. Other local agencies including Portland, and Sinton, and Sheriff’s Offices from Bexar, Comal, and Tarrant County, sent officers. Dozens of other departments from around the state and across the nation volunteered to help and even collected the things most needed by first responders and other storm victims and sent them by the truck load. Food, water, clothing, toiletries, insect repellant, towels and other necessities arrived quickly and made life more comfortable for our people as we moved from response to recovery efforts. The Gulfport, Mississippi, Police Department sent a group of officers, including Chief Leonard Papania and Mayor Billy Hewes, to cook and provide meals for first responders. Mayor Hewes and Chief Papania also met with local officials to provide information regarding coming challenges for our area based on their experience with past hurricanes. The Green Bay, Wisconsin, Police Department sent a truck Police Department sent an 18-wheeler loaded with supplies for storm victims in Rockport and Houston. Finally, a former police officer, Larry Lenford from Jacksonville, Texas (my hometown), came and spent 8 to 12 hours per day for 10 days answering phones in our communications center simply because he wanted to help. I have received hundreds of texts and messages from people across the country who want us to know that they care about the people of our community and have been praying for us since before the storm. Their concern and prayers are as important to us as cash and equipment. 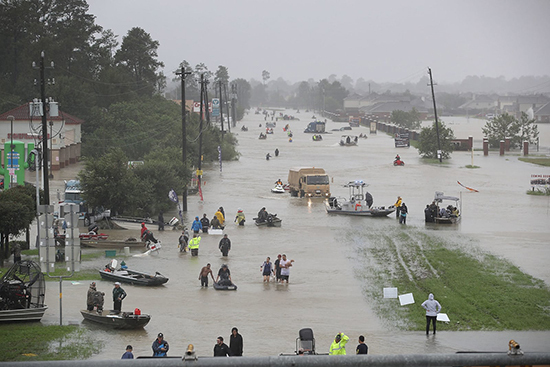 Not only do assistance and prayers come from across Texas and the United States but we also received financial assistance and encouragement from the Tzu Chi Foundation, a Buddhist organization with volunteers in over 50 countries around the world. This financial assistance, in the form of gift cards, amounted to hundreds of thousands of dollars given directly to first responders and area residents whose homes were destroyed or damaged to the extent occupants were temporarily displaced. These are examples, but not nearly all, of the things that the thinking, planning, discussing, reviewing, and practicing didn’t have us prepared for. Not that all those former things weren’t worthwhile, but the goodness and kindness of people and organizations that don’t owe you one thing will brighten your day and help you get through the tension and stress that accompanies disasters. While talking with a lady who works as a custodian in our building she told me that she believes that she knows why Hurricane Harvey came to our area. She said she believes that God was telling us we should stop hating each other and start loving each other. After a month of watching the response of people of every age, race, ethnic group, and background across our country, I believe she may be right. Regular training and practice is essential in assuring that our citizens and their property are protected in the event of an emergency. Repeated use of Incident Command protocol and the need for Unified Command for large area disasters is extremely useful. Government assistance, both on a state and national level, can be expected and is an invaluable resource but the unsolicited and unexpected assistance provided by dozens of groups and individuals will have a tremendous positive impact on your community, your organization, your attitude, and your mental and emotional well-being. Disasters will always come but when governments, organizations, and—most importantly—the people work together, we will get past them. 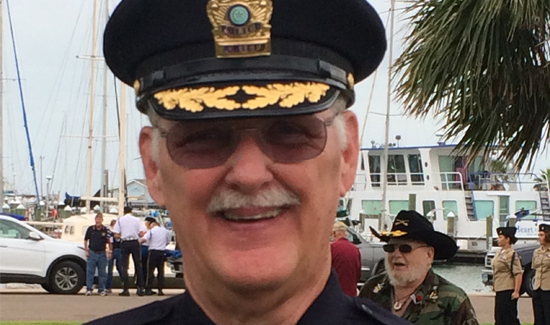 Tim Jayroe is the Chief of Police of the Rockport, Texas, Police Department.